Not known or experienced before. Has this or similar work been previously reported? Are the problems and/or approaches in the paper completly new? According this criterion, it is not necessary for the paper to develop new tehniques, or to generate new knowledge, but it should, at least, apply, or combine, them in a fresh and novel way or shed some new light on their applicability in a certain domain. A new product, process or service based on new or known technologies, methods or metodologies. Known technologies and techniques might be combined to generate new product or service with potential users in the market. What defines an innovation is a new kind of possible users of a product or a service, not necessarily new knowledge, new techniques, new technologies, new methods, or new applications. Innovation is related to new users or new markets. 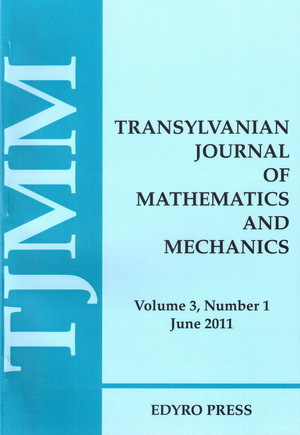 Importance, usefulness, and/or applicability of the ideas, methods and/or techniques described in the paper. Suitability, agreeableness, compatibility, congruity, and adequacy of the paper to the areas and topics of the journal or the conference. Would the article perhaps better be presented at another conference? Importance and noteworthiness of the ideas, methods and techniques used and/or described in the article. The problem approached in the article should be interesting and natural, and not just be chosen by the authors because it can be attacked by their methods. What is presented in the article is not just obvious and trivial ideas. Scientific, technical, and/or methodological soundness of the article. Correctness of results, proofs and/or reflections. Inclusion in the articles of details that allow checking the correctness of the results or citations of articles where can be found the proof or parts of it. Adequate organization of the article and the language used in it, as to make its content clear, easily readable and understandable. Clarity in what has been achived by the author of the article. Even technical paper on a narrow topic should be written such that non-experts can comprehend the main contribution of the paper and the methods employed. The paper shouldn't just be a litany of deep but obscure theorems. The information of the paper should be available to the reader with a minimum of effort. Accept the paper/abstract and consider it among the best papers. Accept the paper/abstract with no conditions. Accept the paper/abstract and ask the author(s) to consider the reviewer recommendations. Reject the paper/abstract because of the comments given in the Section 6 below. Reject the paper/abstract because incoherent and/or non-sense and/or false statements are made in it. Please write in the following box your qualitative evaluation of the article, your constructive feedback, and/or the comments that you might have and which might help the author to improve his/her article and/or conference presentation. Please do not send any comments to the conference organizers using this box.